The Labour Party could be set to take in a fortune from the lease of the former Raffles Discotheque, a property in a prime site in St Andrew’s, which it had acquired through a controversial expropriation deal 40 years ago. In a request for expression of interest published on Sunday, the PL said it was receiving proposals for the lease or emphyteusis and commercialisation of this site. However, the terms of reference are only available on request from the party headquarters in Ħamrun, and the closing date for submissions is March 29. The building, dating back to colonial times, was part of a deal through which the PL was given properties in St Andrew’s, a factory in Marsa currently used as the party’s television and radio station, the historic Maċina building in Senglea which served as Labour’s headquarters until 1994, and €40,500 in cash. All this was given in exchange for Freedom Press in Marsa, which was taken over by Malta Shipbuilding. The properties had been transferred through a parliamentary resolution on August 7, 1979, which had been rushed through on the very last day before the House had risen for the summer recess. In the case of St Andrew’s, the properties which had an overall footprint of 14,000 square metres comprised the Australia Hall, which at the time was still a fully equipped theatre, Hook House and the Junior Ratings Club. A yearly ground rent payment of €47,000 had been imposed, and the PL was obliged to keep the properties in a good state of repair. During the parliamentary debate, Nationalist Party leader Eddie Fenech Adami had criticised the deal saying that the properties in St Andrew’s alone were twice the size of Freedom Press. Moreover, he had raised doubts on government’s decision against imposing any condition to oblige the PL use these properties exclusively as its new headquarters. Dr Fenech Adami had branded such deal as government’s present to the PL, saying these properties at the time had a commercial value of almost €500,000. As a matter of fact, a few years down the line, it transpired that the PL never used its St Andrew’s properties as headquarters. Instead, it moved to the Maċina in Senglea until 1994 when it migrated to its present premises in Ħamrun. 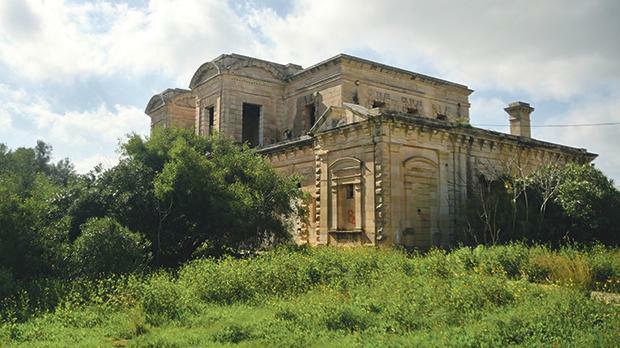 Meanwhile, Australia Hall was left abandoned, and one of the other two properties was leased to the sons of former Labour Minister Joe Grima. The latter turned the building into Raffles Discotheque. In 1992, three years after the discotheque had been closed down, parts of the building were gutted by fire. Six years down the line, Australia Hall also suffered the same fate, and has been left in ruins ever since. In 1997, the Labour government has passed a parliamentary resolution to barter €549,000 in ground rent arrears which the party owed to the State. In return, Labour dropped its claims against payment of arrears which the government owned it on the former Freedom Press. Moreover, the government relinquished its right to terminate the concession to the PL over breach of contract. Though the PN at the time had challenged this resolution in court, the case was later withdrawn. In 2010, the Lands Department took the PL to court to reclaim ownership of these properties, but the case was dropped when Labour was elected to government in 2013. A year later, the party sold Australia Hall to Tamarac Ltd – owned by the proprietors of furniture business Fino and Chris Gauci from Big-Ben. Though the property was sold for €582,343, no money exchanged hands in view of Labour’s pending debts with this company. However, through this deal the PL repossessed all rights over Raffles Discotheque, which is the most expensive site of them all.